Click to SHOP for Farm Market Packaging now! 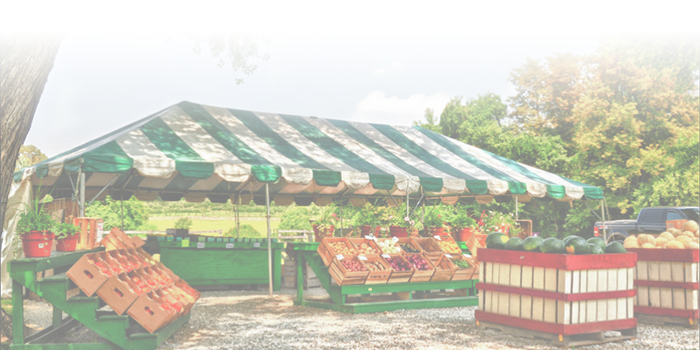 Shop our full line of Farm Market and Produce Stand related packaging. We also offer a wide selection of other agricultural packaging products on our web store. Welcome to the Monte Package Company website. By visiting, navigating and communicating with montepkg.com, we will not collect personal information about you other than what you post when placing an online order. Any non-public personal information that you may provide via our site will be used solely for the purpose of data storage for your retrieval when shopping in the future at montepkg.com. Monte Package Company will not sell, license, transmit or disclose this information outside of Monte Package Company. In all cases, we will disclose the information consistent with applicable laws and regulations. Monte Package Company requires the web user to protect their personal information and use the information for the purpose provided on the site. Since 1925, the Monte family has been dedicated to manufacturing and supplying the finest produce containers available. We at Monte Package Company know that quality packaging and your profitability go hand-in-hand, so we are proud to offer you the largest selection of containers to match your marketing objectives. With headquarters in the heart of Michigan's diversified fruit belt, we are constantly aware of grower's packaging needs as well as industry trends. We take great pride in offering the newest and most efficient designs in packaging as well as producing and stocking only the highest quality products. We are a family owned and operated business with America's largest line of produce containers. Choose from wire bound crates, corrugated masters, wet service cartons, roadside containers, orchard bins and picking accessories, the list is endless. You'll find almost everything you need in this catalog. If you cannot, chances are we have it. Just ask one of our customer service representatives for more information. Monte Package Company has the resources available and experience needed to create almost any item to meet your specific needs. We offer a host of service oriented tasks, like label design and application as well as automatic box set up and custom banners. Each new item can be completed solely with Monte Package Company, from the concept design through product delivery. Monte Package Company is a service oriented, direct distributor of agricultural containers and products for produce packers and growers throughout the world. Our distribution locations are Riverside, Michigan; Benton Harbor, Michigan and Boynton Beach, Florida. We use the latest in delivery tracking, shipping and inventory control in our state-of-the-art facility. With our sales volume, national trucking contacts, shipping program and highly skilled staff, we can provide superior service and quality products coast to coast. 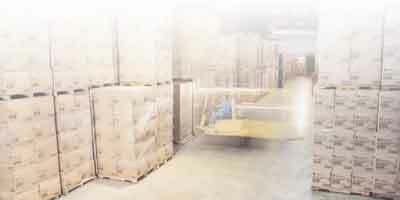 Monte Package Company stands ready to service you and all of your agricultural packaging needs. In 1925, the distribution of wood baskets became a factor in southwestern Michigan. The growers experienced tremendous growth, as did the packaging of fruits and vegetables. The popularity of the Benton Harbor Fruit Market created a local need for growers to have quick access to packaging supplies. This need resulted in establishing a sales and distribution facility within the Market, which still operates today as Midwest Fruit Package Company. Over the years, Monte Package Company combined all of its wood manufacturing operations at Michigan Crate & Basket in Shelby, Michigan. Working with raw logs to manufacture the finished product, a wide variety of products have been produced. Baskets, pallets, bins and wood boxes are all examples of the many container shapes and sizes created. In response to the large growth in sales since the early 1980's, Monte Package Company expanded south to Boynton Beach, Florida. This location offers a great position to serve Florida and the southeastern region of the United States. We have over 100,000 square feet of warehouse space full of specific product to be delivered to our southern customers. Additionally, Monte Package Company offers distribution and application services in our Lakeland, Florida facility. Conveniently located near Plant City, Florida, the warehouse serves the western Florida produce growers with an expanded product line and another location for our Express Label Service. Monte Package Company insists that our suppliers develop, maintain and promote packaging that is sustainable in the promotion of our "Green Initiative". After all, it is only the right thing to do. Over 80% the hinged berry baskets/clamshells that we supply the industry are manufactured from PETE. This is the product that most/all pop bottles are made of. Because of that fact, we are able to source for our customers product lines that have a high level (sometimes in excess of 50%) of recycled material in the manufacturing of these type products. Manufacturers receive the cleaned and washed scrap and develop a mix with virgin material to produce sheets and then form clamshells. We have supply sources all over South America and North America, as logistically we need to be where ALL of our customers reside. In conjunction with the above, we have vendors of our supplies that are using alternative energy resources for power. This alternative energy resource includes the use of a "Sun Farm" to produce energy. This is CLEAN power that reduces the amount of greenhouse gases released to the atmosphere, while simultaneously reducing the amount of oil, coal and natural gas being used in manufacturing. We have also been very successful in the "substitution/replacement" of polyethylene foam trays, where applicable. In addition Monte Package Company has also converted over 50% of the waxed (cascaded) non-recyclable cartons, that we supply the vegetable growing industry, to a "Dry Alternative" that is recyclable. We are committed to excellence in customer service. Part of that commitment is fulfilling the needs of retailers, growers/packers and shippers while maintaining the "fitness for-use" standard that is paramount in the foundation of all packaging that we develop for our customers. We can, will and have worked with retailers when necessary and when asked to promote a certain item or agenda. Bottom line is we take ALL aspects of the process into effect when "going to market". It has proven truly successful over three generations. Looking for credit with Monte Package Company? Fill out our credit application online. Interested in becoming part of the Monte Package Company team? Apply now for job opportunities. The application can be filled out online.